I've been searching for a neutral tone to paint my nails for a few months. There are a lot of brands with multiple colours, but none of them with the degradation I was searching. 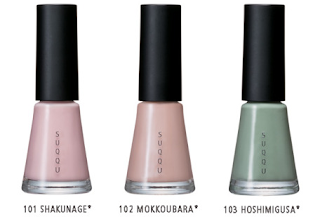 Lucky me, this last weekend when I was in London, I found the Suqqu Spring collection. 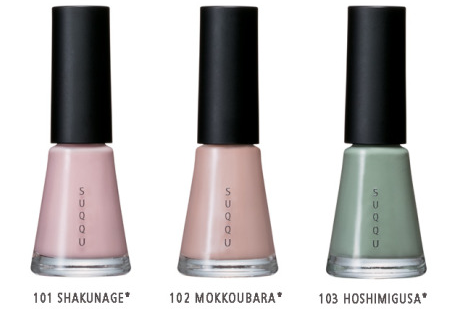 They have a lot of interesting products to try and wear this Spring, but the most important thing is that they have a beautiful Nail Lacquer collection! 101 SHAKUBAGE* (Pink) Flattering light pink. 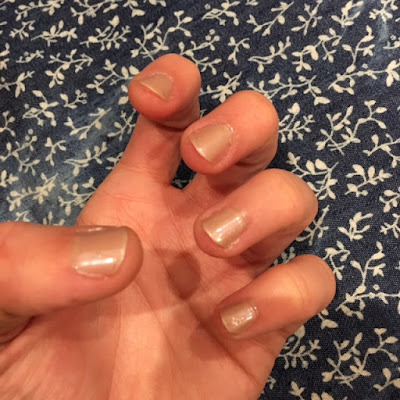 102 MOKKOUBARA*(Beige) Understated natural beige with holographic pearls. 103 HOSHIMIGUSA*(Green) Refined pastel green.